This latest piece on the rare histories of Black pinup models [publications and photographers] led me in a different direction, so I put a story I’d been researching on a noted Black burlesque performer on the back-burner for now, to feature this one. 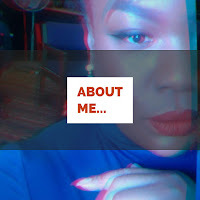 My interest in the lives of vintage Black pinup models and the people curating their images has usually been relegated to the stories of people here in the United States. 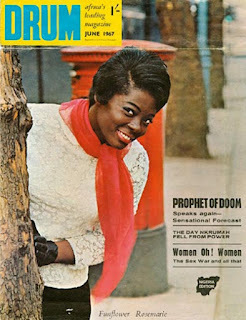 But Drum magazine was an essential part of African politics and growing trends, during a time when seeing a Black model in the 1960s was a rare occurrence in the U.K., just as it was here in the U.S. Much in the same way John Moorehead had done for Jet magazine and other media platforms of the time, famed Ghanaian fashion photographer and photojournalist James Barnor also served as a pioneer in the world of fashion photography and photojournalism, within the realm of the Diaspora. Copyright © www.coffeerhetoric.com. All Rights Reserved.